What To Do if You Can't Afford Your Car Payments? Balancing monthly car payments with your other expenses can be less painful. Maybe you got too excited while car shopping and bought too much car. Maybe the salesperson pressured you into something you couldn’t afford, or perhaps it's been years since you purchased your vehicle and you’ve recently run into some hard times. No matter the reason, struggling to make car payments can cause a great deal of unwanted stress. Will your credit be shattered if you miss payments? Will your car get repossessed? Instead of pacing anxiously imagining the worst case scenarios, you should follow through on a game plan to get yourself back on track. Here's where to start. While it doesn't do any good to dwell on the worst case outcome, you should be aware of the repercussions of missing one or several car payments. If you're late on making one payment, the situation is usually rectifiable by paying as soon as you're able and notifying the lender about the reason for the missed payment. Your credit score will only take a hit if the lender reports your missed payment which usually does not happen for 30 days. If you miss several payments or are more than 60 days late in making a payment, your credit score can drop significantly. Staying in touch with the lender and catching up on payments ASAP can salvage your credit score. In a more serious case, a habit of missing payments will not only destroy your credit but also get your car repossessed. In certain instances, missing even a single payment will cause you to lose your car. If your car is repossessed, there is usually an option to buy it back, but it will cost you an arm and a leg. You'll need to fork up the money for the loan balance and the repossession costs. The best course of action is to be proactive and avoid the worst case by taking the following preventative measures. Trading in your car for a more affordable one can save you from missed payments and headaches. If you're having trouble making your car payments due to a financial hardship, your next course of action will largely depend on whether you have equity in the vehicle or not. Having equity means that the vehicle is worth more than you owe on it. Being upside down on a loan is the opposite scenario where you owe more than the vehicle is worth. Having equity is a good situation to be in because you have the leverage to sell the car and buy one that will give you more affordable payments or go without a car until you can save up for a new one. You'll be able to sell your car back to either a dealership or CarMax. When you sell, you'll simply pay off the loan and rid yourself of the worries about destroying your credit or getting the vehicle repossessed. Depending on how much equity you have in the car, you may have enough money left over to put towards a more affordable option such as a reasonably priced used car. The monthly savings from refinancing your car loan can add up quick. An alternative route if you have equity in your vehicle and wish to hold onto it is to refinance the car for lower monthly payments. There are several ways that refinancing can help you afford your car payments again. Some car buyers got stuck with a high interest rate car loan due to a low credit score or simply not shopping around enough for finance terms. Applying for refinancing gives you a second chance at a lower interest rate or different loan terms, both of which can bring down the total you owe each month to make payments manageable. Muster up the courage to make the tough call and you may dodge a repossession. If you don't have the upper hand of having equity in your vehicle, your options are more limited, but you're not completely out of luck. If you're about to miss a payment or if you've already missed one, your best bet is to call the lender and be upfront about your situation. 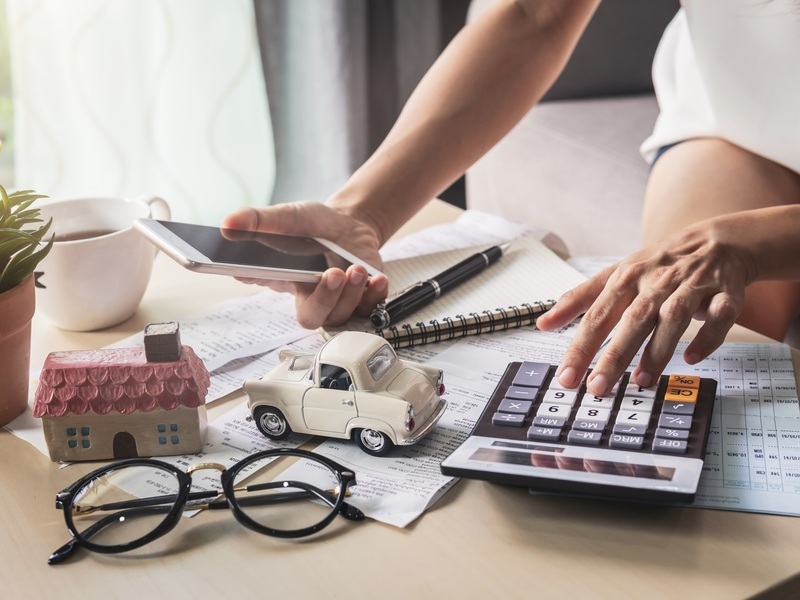 Sure, it's a hard call to make but it can make the difference between repossession and buying yourself a little more time to get back on your feet. If you've had a change in your financial situation such as a job loss, you should explain the circumstances to your lender and they might make accommodations such as extending your loan terms and reducing the amount you pay each month. If you're leasing a car, you won't have the option of selling but you may be able to transfer. What happens if you are leasing a vehicle and can no longer make the payments for the remainder of your contract? You can hand over your lease to someone willing to take it on. This is called a lease transfer and it is typically accepted by most leasing companies. You'll win by freeing yourself from the stress of higher than desired monthly payments and the other party wins because they won't have to incur the initial lease fees. Lease exchange websites like swapalease and LeaseTrader are the industry leaders that help you find someone to take on your lease. As long as the other party qualifies and your lease company allows it, you'll be free and clear.